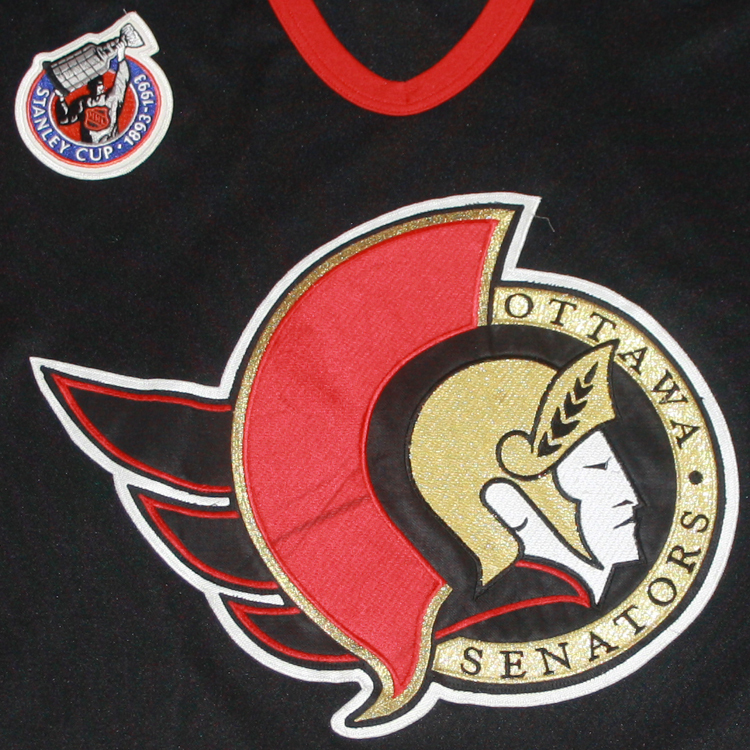 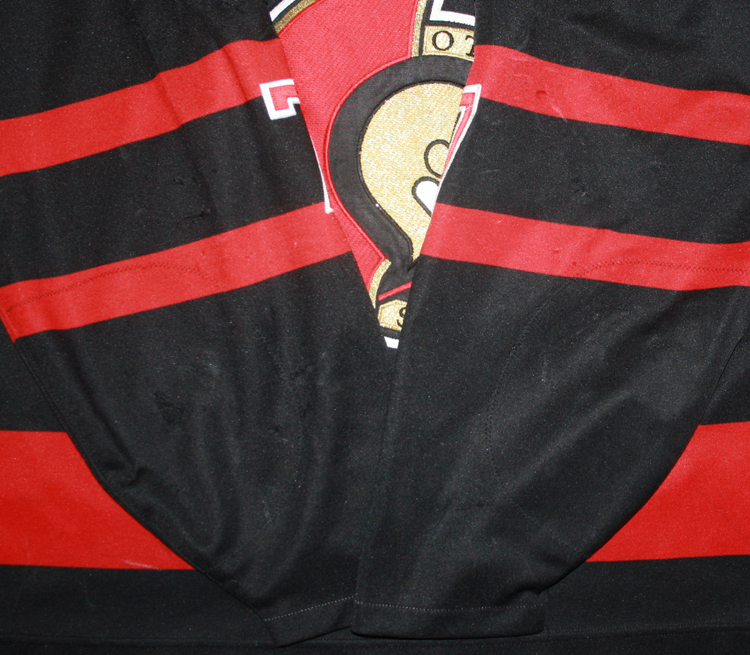 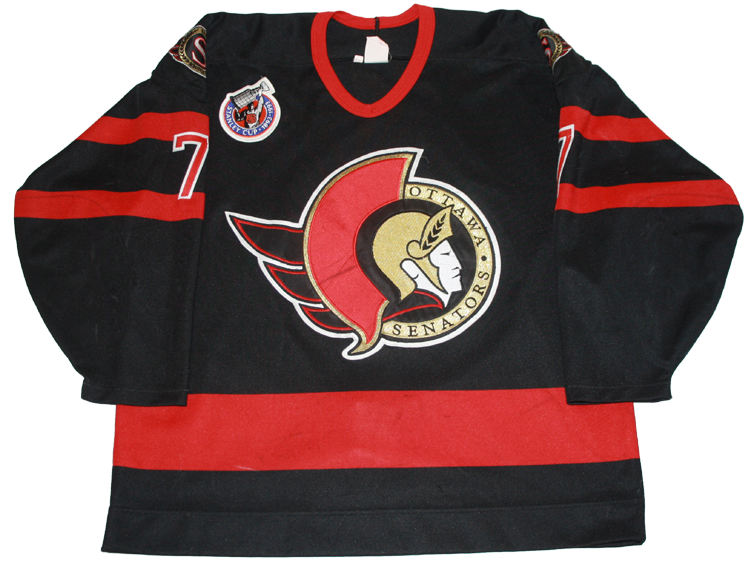 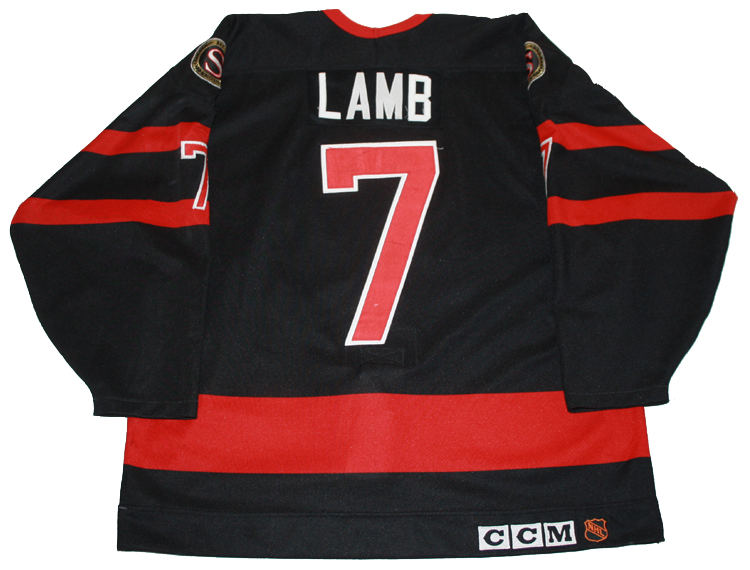 This jersey was worn by Mark Lamb of the Ottawa Senators during the 1992-93 season, the Senators inaugural NHL season. 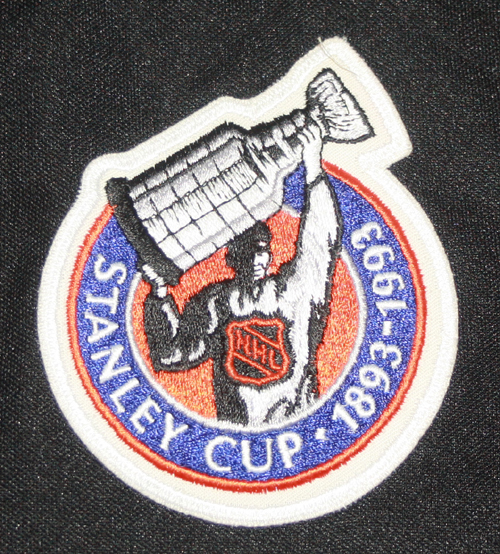 Sewn on the jersey is the Stanley Cup 100th Anniversary patch which all teams wore during the 1992-93 season. 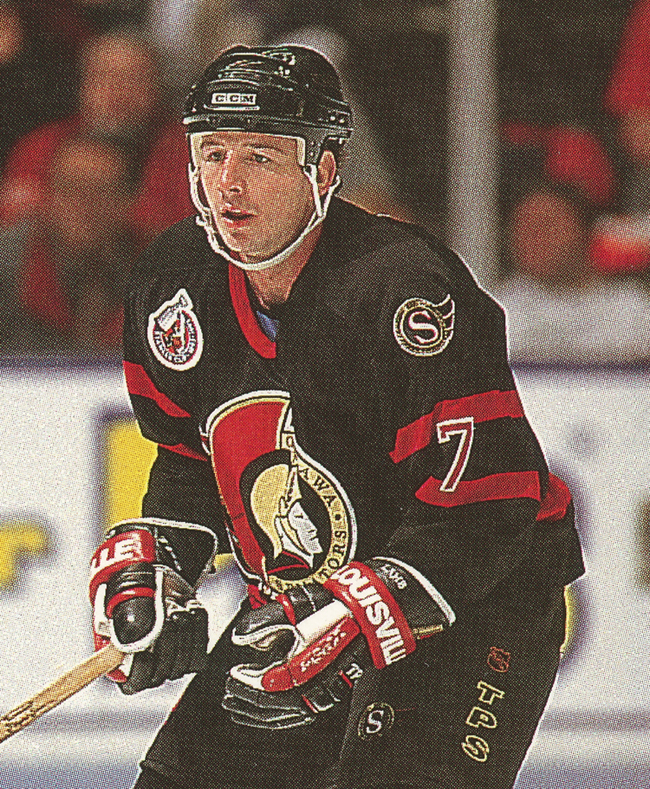 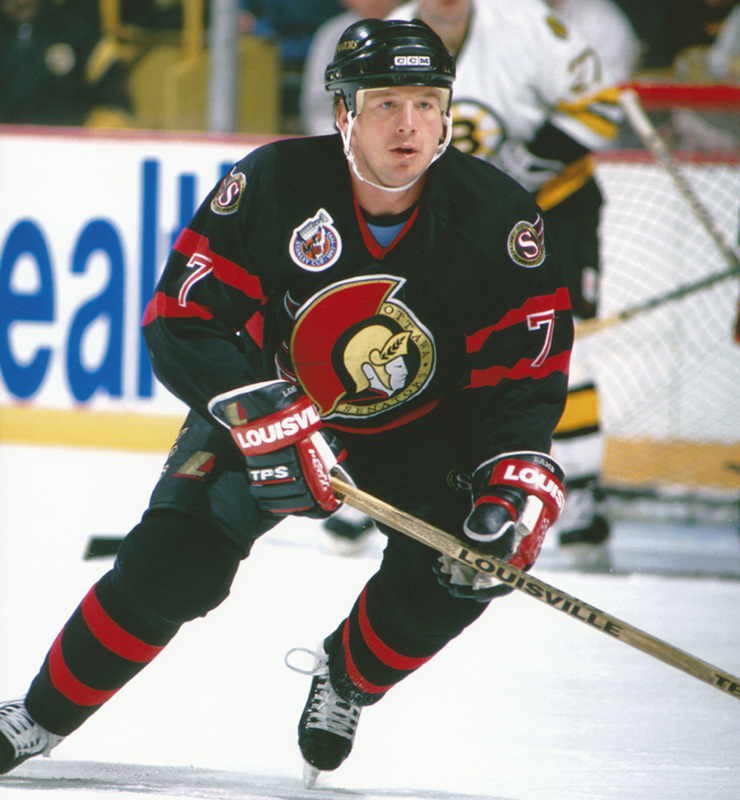 Lamb would become a co-captain with the Senators, along with Brad Shaw, during the 1993-94 season.